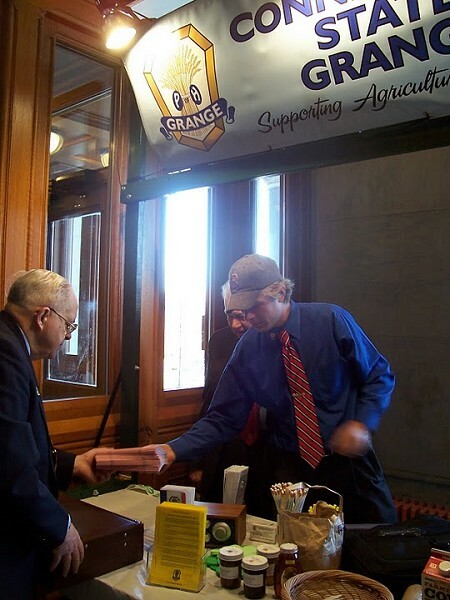 The Connecticut State Grange, along with over 40 other organizations from across Connecticut, celebrated agriculture in Connecticut at the state's annual Ag Day at the State Capitol. Governor M. Jody Rell read the official proclamation, and presided over the celebration, acknowledging farming's contribution to the state over the past 375 years. 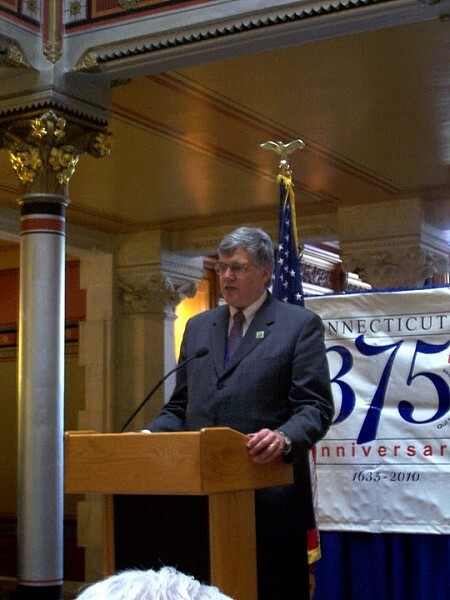 Connecticut Agriculture Commissioner F. Philip Prelli was also in attendance. 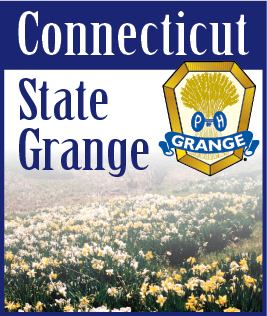 Prelli is a Past State Master (President) of the Connecticut State Grange, and is the National Grange Executive Committee Secretary. Commissioner Prelli recognized several award winners during a special ceremony, including the Outstanding Young Farmer Award, which went to Joe Geremia of Wallingford. The Connecticut Agriculture Information Council also presented Agriculture Journalism Awards. To view the full gallery of photos, please visit the Scrapbook section of the Connecticut State Grange website at: www.CTStateGrange.org.